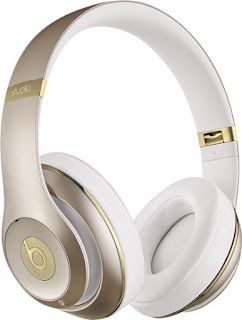 Today ONLY these Beats by Dr. Dre - Beats Studio2 Wireless Over-the-Ear Headphones - Gold are $179.99 (Retail $379.99). Rock out to your favorite songs with these Beats by Dr. Dre Beats Studio Wireless MHDM2AM/A headphones that feature a Beats Acoustic Engine and DSP software for enhanced clarity. ANC (Adaptive Noise Cancellation) allows you to focus on your tunes.